As a longstanding software company, System Simulation has accumulated a wealth of technology with corresponding depth and robustness. Building on Index+, the company's information retrieval database system, with its elaborate and sophisticated tool set, strong networking capabilities and advanced terminology management, our web-based technologies deliver content in new and arresting ways. Recent projects have included innovative uses of RSS technology; searchable portals fed by multiple repositories; simple-to-use, user-generated content clients; and taxonomy and vocabulary-driven databases that can be sorted according to user preferences. It's key to realise our approach to the design and build of web and data projects is not about engineering-in cost and complexity at the expense of ease of use and sustainability. We try to re-use or re-engineer existing projects and resources where possible. System Simulation's software is complemented by striking and effective design capabilities that enhance our technical approach. Index+ is a powerful software toolkit for creating systems to manage structured and unstructured text, data, still and moving images, sound and video. It features fast searching, very high storage capacity, a robust, network orientated, server-client architecture and a range of application development tools. Index+ is designed for UNIX, MS-Windows, NT and mixed environments. Index+ provides the core of System Simulation's technology and has been developed by the company over many years to make it a highly reliable, robust and effective toolkit. AssetIndex+ is a powerful and efficient system for the management of a wide range of digital assets (images, video, audio, text and drawings, PowerPoint presentations etc). With many practical and innovative features, it has benefited from System Simulation's extensive experience in the management of complex data. 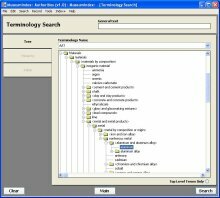 Terminology and thesaurus management promote accuracy in cataloguing and efficiency in searching, particularly over large data sets. They are important tools in the professional management of data and in delivering top-class systems and services. Multi-lingual thesauri allow data to be opened up to whole new audiences. System Simulation provides terminology systems and also analysis and advice on improving existing systems. 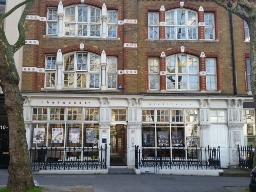 Culture24's website (formerly the 24 Hour Museum) is an award-winning cultural guide promoting museums, galleries, libraries and archives across the UK. 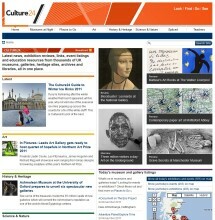 Every month, at least a million visitors enjoy content on Culture24 and Show Me, along with a host of micro sites powered by the Culture24 database. 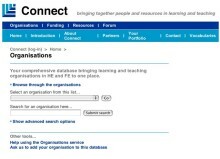 System Simulation developed the portal jointly with JISC and the Learning and Teaching Support Network (LTSN), a major network of 24 subject centres based in HE institutions throughout the UK and now forming part of the Higher Education Academy. 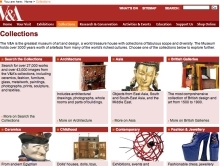 We have supplied software to the V&A over a number of years including its core collections management system and integrated image library allowing web access to its collections. Recently, we supplied AssetIndex+ to achieve much greater integration and allow the V&A to feed its assets into a range of more specialised applications. 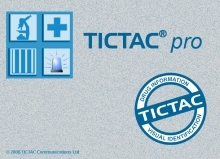 System Simulation has provided the Index+ image base and database to TICTAC Communications at the Toxicology Unit of St George's Hospital Medical School. TICTAC contains detailed information on over 16,000 tablets and capsules or related products with over 40,000 high quality images of those products. As part of its design provision, System Simulation offers a special set of services to assist clients to achieve high standards of Usability and Accessibility in their web sites and in other interactive environments. Services include automated testing of compliance with accessibility standards, the management of user feedback, including focus groups and observed interaction exercises, and advice and consultancy on meeting the needs of particular user constituencies. System Simulation offers a series of data handling services to assist clients to convert, migrate, safely back-up or store data.